How to frame the digital transformation? What are the winning strategies? How to implement them effectively? Where to start? In a very open and collaborative spirit, 20 Italian Top Managers responsible for the digital transformation of their companies, have taken part to the Digital Advisory Board (DAB), an initiative promoted by LUISS Business School and CISCO to gain insights on the impact of digital technologies on business and society with a special focus on the challenges for implementation. In recent years, organizations have undergone significant change as result of using digital technologies. Digital capabilities are embedded in products, services, and business processes. The evidences from different industries show a paradigmatic shift in different aspects of organization from products and services, business processes, strategy, organizational structure to business model; the way companies create, deliver and capture value. Disruptive technologies put the survival of established organization at risk, by providing new and low-cost features to customers. Organizations need to rethink their business model due to the pace of innovation, new opportunities and threats resulted from digital transformation. Therefore, revisiting and of creation, delivery and value capturing in business models is critical to sustain and create a competitive position in the market. As value creation is concerned, every business sooner or later needs to make a decision about the adoption of new digital tools and platforms to generate value. Organizations can expand or redefine the value proposition for their customers by connecting people and processes across the company or by extracting and mining huge amounts of data. How these data can be managed to enable new business models, to extend leadership or to penetrate adjacent markets? As an example, considering data as a new asset, Autostrade per l’Italia has created a special company that deals with the management of data generated by both the infrastructure and the users themselves. In this way the company has extended the core of his business model by adding a new value proposition to the customers. “Following the whole data evolution process: from raw data to data products. A path of data monetization. Data are useless if not collected on a specific purpose analysis. A proper data collection comes directly from a clear vision of what to achieve from data in matter of services, instruments and business. A clear business vision is what makes data, big. A well projected data collection is not only about reducing congestion, pollution and improving safety, services and information usage, but is mainly about a business imprinting which allows all partners to take advantage of the new conditions. Which service to enable? Which sensors to develop and why? Which benefits for citizens, companies and government, in details? As value delivery concerned, the paradigm shift also affects the entire delivery of value through the supply chain. In fact, by adopting digital technologies companies can improve the customer engagement and align their services in real-time to the emerging needs of customers. As value capture is concerned, organizations are using digital technologies to redefine their revenue streams by matching them with the actual value delivered to customers and hence they can redesign the pricing structure. Value of data for a company becomes more evident when data are correlated and used across silos. Data generated by one silos are often useful for other units that are not traditionally adjacent. This causes digital transformation to literally reshape organizations and their operations. However, the transformation process is context related and requires new leadership capabilities. In fact, the complexity of organizational settings makes the path of transformation unique, being linked to the strategic goals, people, culture and structures involved. Therefore, the success of organizational change to accelerate digital transformation is based firmly on the development a new set of skills and different leadership styles. The organizational change process and the work teams include areas that range from IT to human resources, logistics, internal communication and recently also to property management. For example, governing the introduction of new services and analytics procedures for predictive maintenance, has an impact on the skills of the operation staff as well as on the marketing people that interact with increasingly “digital” customers requiring a completely different caring. Leadership has been addressed during the program as a key factor to capture real business benefits. Therefore, it is crucial to identify the corporate unit in charge of leading the digital transformation. While digital transformation is reshaping organizational strategies, business processes and paths to market and customers, organization relies on leaders who leverage technologies, sensing and seizing opportunities in the digital ecosystem and accelerate the transformation with respect to competitors. It is certainly interesting the example of Trenitalia where a central role was played by the Strategies and Innovation unit. Digital transformation goes beyond adopting new technologies, it is closely linked to business strategy, innovation and the governance of IT infrastructure and resources. It requires a strong coordination among different organizational units and cannot evolve independently but need a leadership of “digital transformation” that traces the evolutionary trajectory and the synchronism. The use of digital technologies by customers forces organizations to revisit the way they provide products and services to customers and give priority to customer experience. Integrating digital elements with products and services expands the value proposed by companies. To go even further, by transforming products and services into digital ones, companies can redefine the value proposition to their customers. So, the first aspect of product innovation is to carve out value from the digital wrapper around the product (all the data generated by the product). There is also a second aspect concerning more the digital interaction with customers. Considering the pervasive use of digital technologies in the daily practices of citizens and consumers, companies and public administrations need to rethink the way they provide services in a multichannel perspective and seizing all the potential of digital technology. Understanding niche needs, meeting real needs and ensuring a positive user experience become vital issues to remain competitive. Companies are accessing customers through omni-channel and on-demand services. Analyzing customer activities at individual level enables companies to create a personalized customer relationship. Moreover, organizations can engage customers in co-creation, problem solving and innovation processes by collecting feedback and insights through social media. For example, RDS sees personalized narratives and storytelling as the future of entertainment. A tangible cost value is evident in the Trenitalia case, were the maintenance costs are reduced by 10% thanks to a predictive maintenance project. Other cases have witnessed significant savings such as in the case of Infocert thanks to the introduction of the digital invoice. A second area of impact is related to customer experience value. Intelligent service stations by Kuwait and e-payment with Telepass and SMS confirmation by Infoblu provide examples in this direction. Another interesting experience has been shared by RDS that is enriching its service offering by introducing storytelling. A third area of impact is related to platformization and how digital technologies enables companies to implement cooperation, competition and coopetition strategies with external parties. The Ericsson case provides an example on how digital transformation can generate platform value. The development of the 5G telecommunication infrastructure requires the company to rethink its business model by contributing to build an ecosystem of services on the move. Interestingly also companies traditionally oriented to broadcast their contents over the network, are now posing attention to the evolution of digital platforms that are fostering the growth of complementary mobile services. Although society and environment impacts were not explicitly addressed during the workshops, participants have often pointed out how digital technologies generate value in more broader terms. The digitalization of paper documents in public and private sectors, enhances the transparency and allows to share data on organizational performance with public. This is the case for instance of the Infocert e-invoice initiative. Moreover, the quality of life of citizens is expected to be positively affected by more user-friendly applications and services that meet citizen needs more effectively and efficiently (refueling, entertainment, etc.). Finally, predictive maintenance and other services based on IoT and real time information can have a significant impact on the safety of citizens. Some difficulties have also been raised by the participants. Combining the existing practices with the new practices introduced with digitalization, requires a significant effort. The main managerial issue consists in successfully integrating different horizontal units and knowledge regimes. Horizontal integration has been the issue for many companies in their attempts to coordinate activities and transfer good practices among departments such as IT, Marketing, Logistic, Finance and Sales. Moreover, in many contexts, new mechanisms are required to manage the tensions between the lightweight and heavyweight IT, the legacy systems and startup innovation, the need for business intelligence and information silos, the digital workplace transformation and digital literacy and the agile product development and formal procedures. Finally, participants agree on the difficulties of assessing the impact of digital transformation on revenues, being easier to quantify costs. Data from products, company assets, customers and employees mixed with external data sources can create the conditions to transform organizational processes and practices towards new models for customer centered business. Smart environments based on a combination of physical spaces and digital tools can reconfigure themselves in order to fulfill customers’ needs with highly personalized services. Design and creativity are key elements for new marketing initiatives as long as the leadership style, the organizational culture and the system of incentives are aligned with the emerging practices. Fear to fail, designer seniority and legacy systems must be critically revised. A design thinking orientation enriched by an architectural view of the IT infrastructure can support managers to identify new control points (e.g. contracts, sw, interfaces, etc.) in the complex relation between a company and its digital ecosystem. Finally, evidence-based management requires a data science orientation. Many advantages are expected from the application of artificial intelligence to task automation and decision making. Therefore, it becomes crucial for managers to understand the new skills and talents required to cope with digital transformation at different levels of the organization. Last week, LUISS University hosted the 5th Innovation in Information Infrastructures (III) workshop, focused on transformation in digital infrastructures. 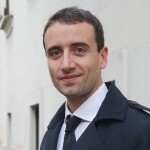 An interview with Panos Constantinides, Associate Professor in Information Systems at the Warwick Business School.